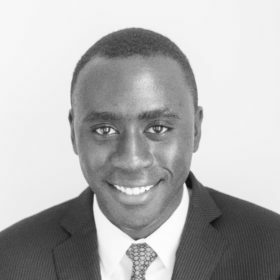 Eugene Nandwa is a senior associate at Hamilton Place Strategies, where he assists financial services, education, and nonprofit clients with policy and data analyses to inform their strategic communications and public affairs engagements. Prior to HPS, Eugene interned at Morgan Stanley where his work included conducting mutual fund performance analysis and stock market research. Eugene also interned at ACT | The App Association. There, he worked on the membership team to research, compose, and distribute materials highlighting important developments in the app economy. He also restructured the association’s data gathering tools to enable faster and more effective engagement with its members. Eugene was also a public policy intern at Squire Patton Boggs, a global law and lobbying firm in Washington DC. While at Squire Patton Boggs, Eugene conducted public policy analysis for financial services, education, and international clients. Born in Kenya and raised in Birmingham, AL, Eugene graduated from Claremont McKenna College with a bachelor’s degree in International Relations with a concentration in Economics.